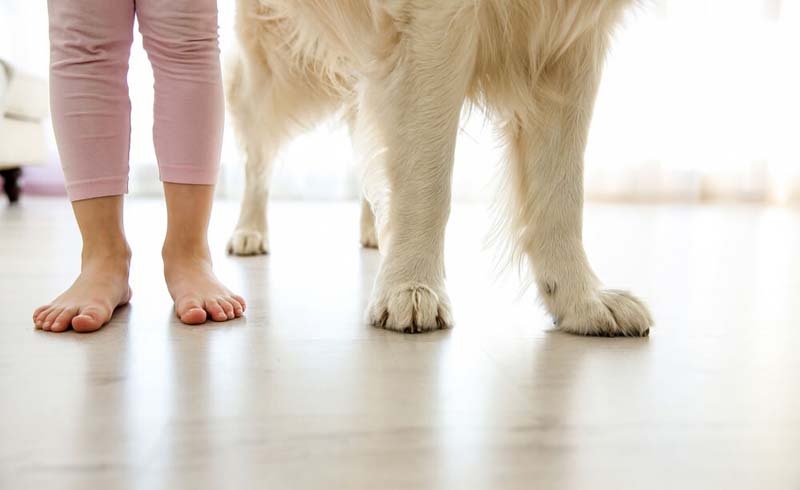 Radiant floor heating may make your home feel more luxurious and help keep your toes warm during the cold months, but is it worth the cost? There are two types of radiant floor heating—water-based systems and electric systems. Both provide consistent warmth throughout the room so there will be no cold spots. Water-based systems have pipes with hot water running through them and in electric systems, electric resistance cables generate heat. Once installed, radiant floor heating is basically maintenance-free. Many systems can be run with a smart WiFi thermostat or a programmable thermostat, so you can turn it off and on at certain times. Here’s a look at some of the pros and cons. 1. Radiant floor heating is versatile and works with all floor types—carpet, tile, wood and laminate. 2. It’s efficient. In-floor heating will save you on average, 15 percent on your heating bills due to the way it warms the home, according to Warmup, the world’s best-selling underfloor heating brand. 1. The installation cost of radiant floor heating can be high. Expect to pay between $10 to $20 per square foot for labor and materials, depending on the system. You’ll also need to hire an electrician to connect the system to your power supply, which will be an additional heated floors cost. Water-based systems are usually installed during the build phase of new construction or a renovation. Water-based systems, on average, cost up to three times that of an electric system. 2. In-floor heat systems can increase your floor height by about 1/2 inch. You may also want to install insulation boards that run underneath the heating system to make sure the heat goes up rather than down. Combined, this can raise your floors by about an inch, which will result in a trip hazard and possibly the need for door modification.